May was the month that was in 1962. 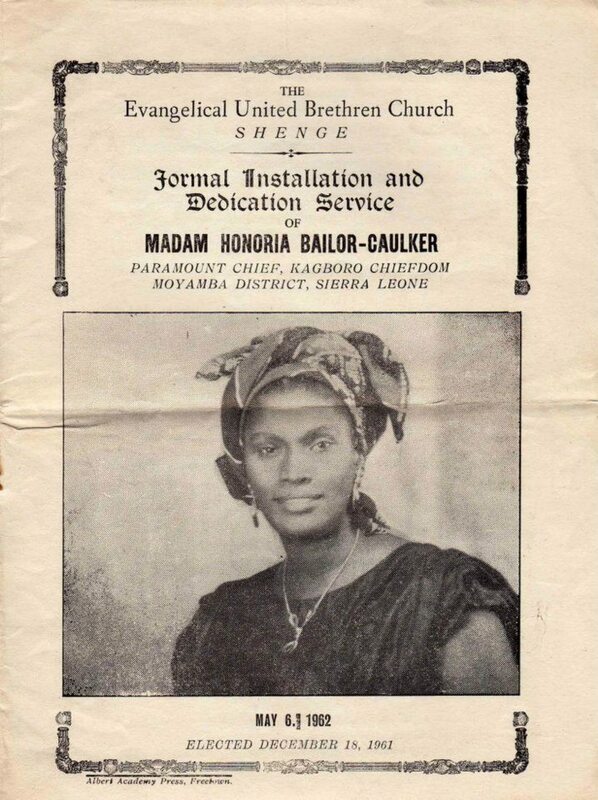 Born May 15, 1923, Honoria Bailor-Caulker was installed and dedicated as Paramount Chief for Kagboro chiefdom in Shenge a week before her 39th birthday. Shenge, a coastal town on the Atlantic Ocean, is one of the several chiefdoms in Moyamba District in the Southern Province of Sierra Leone. Honoria was both a Member of Parliament and a paramount chief with executive power. She had earned a certificate in teaching and was a widow with five children. Over her career, she served as a Sierra Leone government delegate to the United Nations and other assemblies. She was also a member of numerous women's organizations in Sierra Leone. Her special interests were history, agriculture, and social service/self-help programs. Honoria had traveled extensively in Africa, the Middle East, Europe, and made short visits to the United States. In 1974, she was invited to speak at the American Anthropological Association. He took a lot of his merchandise from Shenge and assembled them in a slave pen on Plantain Island—just offshore from Shenge; ships would then come and take them away to America. Plantain Island was the last piece of Africa on which the slaves stood. Today it is the fist thing the Shenge people see through the church doorway on Sundays, as they turn from their prayers and leave our small church. Like Bumpeh chiefdom, Kagboro, traces its origins to the Caulker chiefdom that began with marriage of Thomas Corker to a daughter of the Sherbro King Ya Kumba. Shenge, an island off the coast in present day Kagboro chiefdom, was the headquarters of a dynasty led by Thomas’s children, until Bumpeh split off to be led by another member of Caulker in 1810. Kagboro also once included the Banana Islands, off the coast of the Freetown peninsula, but these were leased to the Colony in 1840. 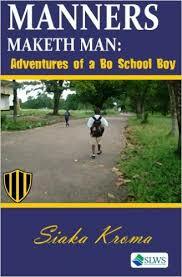 The history of Bumpeh chiefdom traces the Caulker dynasty through the 19th century. The family established itself in the late 17th century, when a Royal Africa Company trader named Thomas Corker established himself as the chief agent at York Island. Corker married a daughter of the prominent Sherbro Chief Ya Kumba, and their descendants established themselves as leaders of Kumba’s kingdom. Bumpeh chiefdom was split off from the larger Caulker state based in Shenge, which became what is known today as Kagboro. The area was divided between two Caulker brothers who wished to rule independently. At this time Thomas Kan Tham, a caulker son became the first ruler of Bumpeh in 1810. As described in the Caulker family history (Caulker-Burnett, 2010), a son of Thomas and later chief of Bumpeh, James Canreba Caulker, went on to have a dispute with the Caulkers of Shenge. He waged war with them that was settled with a treaty in 1845 that confirmed the division of the two chiefdoms. As discussed in detail in Caulker-Burnett (2010) however, disputes would continue between the two chiefdoms well into the beginning of the 20th century. After the split from Shenge, Bumpeh, with its headquarters in Rotifunk, became an influential power center, with a large standing army (Abraham, 2003, pg. 55). 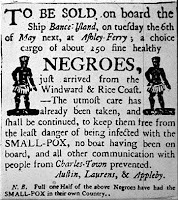 By 1660, the English had colonies like Barbados, Jamaica, and Jamestown in Virginia that needed supplies of slaves to support the plantations there. For this reason, the English created the Royal African Company (RAC) and over a quarter of the profits was derived from the slave trade by 1668. The Royal African Company (RAC) was set up by the Stuart family and London merchants to trade along the west coast of Africa. James, duke of York, Charles II’s brother, led it. Its original purpose was to exploit the gold fields up the Gambia River identified by prince Rupert, and it was set up once Charles II gained the English throne in the Restoration of 1660. However, it was soon engaged in the slave trade as well as with other commodities. Originally known as the “Company of Royal Adventurers Trading to Africa,” by its charter issued in 1660, the RAC was granted a monopoly over English trade with West Africa. With the help of the English army and navy, the company established forts on the West African coast that served as the staging and trading stations and was responsible for seizing any English ships that attempted to operate in violation of the company's monopoly. The English king received half of the proceeds and the company half. 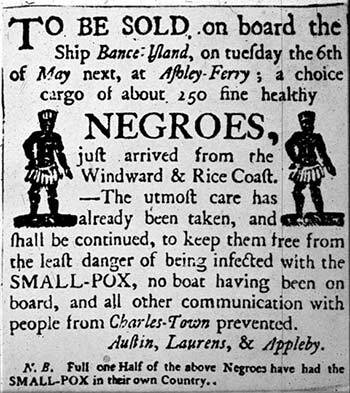 Merchants in London, who were involved with agents in Virginia to whom slaves were delivered, agents, factors, and representatives received a seven-percent commission for the company on sales. By 1667, the company fell heavily into debt during the war with the Netherlands, a war it had started when an English admiral attacked the Dutch African trade posts in 1664, as it had lost most of its forts on the African coast. For several years after that, the company licensed single-trip private traders, but its biggest effort was the creation in 1668 of the Gambia Adventurers, a new business granted a ten-year license for trade north of the Bight of Benin with effect from January 1st, 1669. In 1672, the original company re-emerged, re-structured and with a new charter from the king, as the new Royal African Company. Its new charter was broader than the old one and included the right to set up forts and factories, maintain troops and exercise martial law in West Africa, in pursuit of trade in gold, silver and slaves. At the end of 1678, the license to the Gambia Adventurers expired and its Gambian trade was merged into the company. In the 1680s the company was transporting about 5,000 slaves a year across the Atlantic. Many were branded with the letters "DY," aligning the African captives with the company's governor, the duke of York, who succeeded his brother on the English throne in 1685, becoming King James II. Other slaves were branded with the company's initials, RAC, on their chests. Between 1672 and 1689, the company transported 90,000 to 100,000 slaves. Its profits made a significant contribution to the increase in the financial power of those who controlled the City of London. In 1689, the company acknowledged that it had lost its monopoly. The company, which was always heavily patronized by the Stuart monarchs, fell out of favor when James II was deposed and William and Mary came to the throne. Profits fell. There were complaints from the planters. Demand for slaves was always too high for the company alone to supply, and the farmers urged that the monopoly be abolished so that more slaves could be imported. In 1698, the change was enacted into law by an Act, which opened the African trade to all English merchants, who paid a ten per cent levy to the company on all goods exported from Africa. The number of slaves transported on English ships subsequently dramatically. The company continued purchasing and transporting slaves until 1731, when it abandoned slaving in favor of ivory and gold dust. Charles Hayes (1678–1760), mathematician and chronologer, was sub-governor of the Royal African Company until 1752, when it was dissolved. The Royal African Company's logo depicted an elephant and castle, an image fairly common in the medieval era, according to Black Cab London. From 1668 to 1722, the Royal African Company provided gold to the English Mint. Coins made with such gold bear an elephant below the bust of the king and/or queen. This color also gave the coinage its name, the guinea. The Royal African Company was dissolved by the African Company Act 1750 with its assets being transferred to the African Company of Merchants. These consisted of nine trading posts known as factories: Fort William, Fort James, Fort Sekondi, Winneba, Fort Apollonia, Tantumquerry, Fort Metal Cross, Fort Komenda, and Cape Coast Castle, the last of which was the administrative center. After the dissolution of the Royal African Company (RAC), James Cleveland and Skinner Caulker, settled in Yawri Bay, married local women, and then set themselves up as rulers of several coastal districts. Yawri Bay has tidal mudflats and mangroves—home to tens of thousands of birds for a third of the year. The bay is about 40 miles southeast of Freetown. Ribbi, Bumpe, and Kagboro chiefdoms of Moyamba District and the southern coast of the Western Area Peninsula bound the bay. Bumpe chiefdom is centered on Rotifunk, which comprises of 208 villages. Yawri Bay is shallow, coastal wetlands with a 9,100-hectare expanse of intertidal mudflat that extends along 40 miles of foreshore. The mudflats are backed by mangrove swamp interlaced with a network of creeks stretching to 24,505 ha. It accounts for 14.3 percent of the total mangrove swamp in Sierra Leone (Chong, 1987). Three rivers, Ribbi, Bumpe, and Kagboro, each with its estuary, flow into the Yawri Bay. The bay's topography and location shelters it from the force of river flow and strong marine currents. Temperature varies little with season; the mean daily range is 22-31 degrees Centigrade in the dry season and 23-27 degrees Centigrade in the rainy season. Avocet, Lesser-crested Tern, Water Dikkop, and the Damara tern were first recorded for Sierra Leone at this site. Most of the less common Palearctic migrant waders found in the Sierra Leone River estuary also occurs at this bay. There is evidence of the presence of the African Manatee (Schwarz, 1992). Three species of marine turtles occur; Green, Loggerhead and Olive Riddle. The northern end of the bay is now accessible via a highway from Freetown. Rotifunk and Moyamba, 40 km and 60 km to the east respectively are the nearest big towns. The Bay has relatively prosperous fishing companies especially at Tombo and Shenge, which supply most of the fish consumed in Freetown. There is also a viable local salt industry in the area. The Clevelands and Caulkers enlarged the coastal districts with new buildings, repositories to hold a thousand slaves, and vaults for rum. There were workhouses for smiths, armorers and carpenters, seventy-four great guns, stores and tools for bricklayers, brickmakers, coopers, gunners, gardeners, a chapel, and a library. In an old feud between the two families, the Clevelands were eliminated, but the Caulkers prospered and founded dynasties that had significant impact on Sierra Leone history throughout the 19th Century. In 1787, the Sierra Leone Company founded a colony at Freetown. Caravans that shipped quantities of raw gold, ivory, and cattle that usually traveled to the area had been redirected to French ports such as Conakry in Guinea. In 1810, George Stephen Caulker’s father gave him the old Kagboro chiefdom. Decades later, the British Protectorate was founded in 1861 and the area was incorporated into Sierra Leone in 1888 and renamed Kagboro chiefdom. At Sierra Leone’s independence on April 27, 1961, two political parties shared the votes in a multiparty political system. First in office was the Sierra Leone People’s Party (SLPP) under Milton Margai. In 1967, the All People’s Congress (APC) under Siaka Stevens won the general elections. Almost immediately, Stevens was arrested in a coup, followed days later by another army coup, which imposed military rule until the next year. Then, after a further blow, Stevens was reinstated as prime minister. 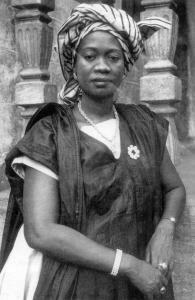 Ella Koblo Gulama (January 26, 1921 – September 10, 2006) became the first elected female Member of Parliament in Sierra Leone in1957 and all of West Africa. She was re-elected in 1962. During the government of Milton Margai, Gulama became Sierra Leone and the region’s first female Cabinet Minister. Gulama represented Sierra Leone abroad and her travels, like Honoria’s, took her all over Africa, Europe, North America and the Middle East. In 1957 as a guest of the United States State Department, she toured America for four months during which she met with then-vice president Richard Nixon. Gulama was president of the Federation of Women's Organizations in Sierra Leone from 1960 to 1967. In the 1967 general elections Gulama regained her seat. However, a power struggle between Margai of the SLPP and Siaka Stevens of the APC ensued, destabilizing the country and resulting in a rapid succession of military coups. When Steven's APC party eventually ascended to power, Gulama was accused of collaborating with her brother-in-law Brigadier David Lansana in his coup d'état against Stevens. She was placed under arrest and held at Pademba Road prison for over a year. She was later exonerated and released. While she was in prison Stevens appointed her husband Paramount Chief Bai Koblo Pathbana II to his cabinet. Her estranged husband's acceptance of the position strengthened the innuendo that Gulama's relationship with Albert Margai was much more than a professional one. Gulama was briefly forced into political exile after Margai lost power. En route to Sierra Leone on Sierra Leone Airways flight LJ 351 bound from London to Freetown, a nonstop flight of 3,090 miles, Rotary International president, Luther Hodges, was bound for a visit to the Rotary club in Sierra Leone and 17 other African countries. 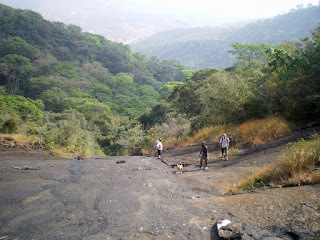 Sierra Leone was the first stop on their route. The Rotary Club meeting was a ladies’ night, noted Hughes in his “African Diary,” which he kept on the trip. "About a 100 people were present, native and 'European' with mixed families. President Rolv is a Norwegian. 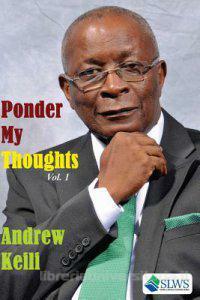 His wife is a Sierra Leonean whom he met at a medical school. She is an M.D., and he is a dentist,” he wrote. The president of the Freetown Rotary Club, Dr. Rolv Holst Roness met the plane at Lungi airport at 2:45 p.m. The party crossed the Sierra Leone River via a small aircraft, which belonged to a diamond company and then made the 30-minute ride by car downtown. Less than two years later, Sierra Leone became a republic in 1971, with Siaka Stevens as executive president. The general election of 1973 was boycotted by the SLPP and easily won by the APC. By 1974, when Honoria gave a lecture at the American Anthropological Association, Sierra Leone’s population was 2.8 million. The nation's annual growth rate between 1970-75 was 2.41 percent. It was seen as a poor, rurally based economy, which was relatively stagnant. Per capita annual income was $170. The United States Agency for International Development in Washington D. C. considered Sierra Leone a country in which there was quickening interest in family planning. That assessment was based in part on the country’s 1975-80 five-year plan. The plan pledged 20,000 Leones (the equivalent of US $18,000 at the time) for population activities during the plan period. The local International Planned Parenthood Federation affiliate, founded in 1970, was the only operating family planning organization in Sierra Leone. It had eight clinics, with two more under construction. The government also permitted the Sierra Leone Family Planning Association (SLPFA) to use space at existing facilities in government hospitals and clinics. The government included a pledge of support, but principal support for the organization came from the International Planned Parenthood Federation, which it joined in 1968. Expenditures for 1975 were estimated at $230,000, with a 1976 budget of $178,000. The president and guiding force behind the SLPFA was obstetrician and gynecologist Dr. June Holst-Roness. She was one of the most prominent doctors in private practice and the only female doctor to serve Siaka Stevens, then president of Sierra Leone. Among pertinent comments made by Holst-Roness to the fact-finding team were that much of her efforts were directed at treating a high degree of infertility among the women of Sierra Leone. A condition, which, she said creates marital, discord. Until problems of infertility were solved she said people were unlikely to be interested in controlling fertility. Holst-Roness was appointed mayor of Freetown in 1977, succeeding the late Daniel Akibo Betts. In 1978, Sierra Leone became a one-party state, led by the ruling APC. June studied medicine at the University of St Andrews in Scotland, where she met her husband Rolv Holst-Roness, a Norwegian student who was studying dentistry. They got married in Scotland on December 29, 1956 and both returned to Sierra Leone. She had a successful career as a leading gynecologist and obstetrician, was one of the first black women to be invited to visit China, and also has a school named after her, the Dr. June Holst Roness Municipal School, for her contributions as mayor as well as a doctor. Born June 10, 1929 in Freetown, Sierra Leone, June died February 14, 2008, aged 77, in Cambridge, United Kingdom. 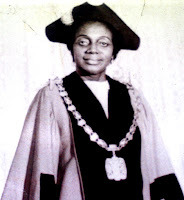 Before she left office in 1980, June officiated the twinning of Kingston upon Hull with Freetown, Sierra Leone, when a Civic Delegation from Hull visited Freetown in October 1980. The towns were twinned to promote friendship and understanding between the cities of Kingston upon Hull and Freetown, strengthen commercial, educational and cultural links between the two cities stimulate and foster mutual exchanges at all levels between the peoples of the two cities. In 2005, then mayor of Freetown, Winstanley Bankole Johnson, visited Hull to mark the 25th anniversary of the twinning. To celebrate its 20th anniversary in business this year, Diplomatic Mission Supplies-UK is launching a new range of furniture called The Wilberforce. DMS says the new line has been named in honor of William Wilberforce, former Hull Member of Parliament and key lobbyist in abolishing slavery. Also, as Hull gets closer to 2017, when the town becomes "U.K. City of Culture," they wanted a range that also fits in with the anniversary of the company. "Hull was twinned with Freetown Sierra Leone in 1979 and this was my first port of call when setting up my new business venture by visiting the British High Commission in 1995, who were our very first customers," DMS said in a recent statement. What an incredible piece of history and writing. I ve just acquired a significant amount of knowledge about stories that have inspired me. Keep up the good work!